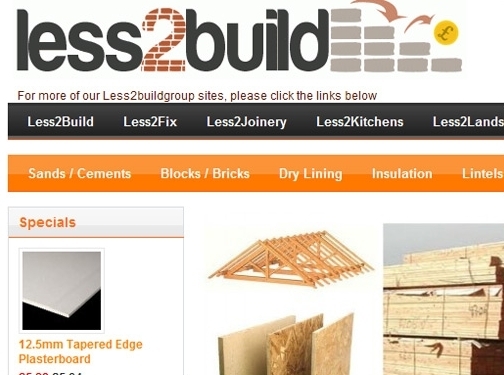 Less2Build provides a wide range of build supplies online at discount prices. UK (Norfolk) based company offering building supplies for sale. Website features e-commerce facilities, delivery details, cancellation and returns information (found in terms and conditions), terms and conditions, full company contact details including address.